In this new article, we will be sharing some fashion digital marketing tips and ideas that will bring your fashion/product based business into the light. As you set up your new fashion brand, you’ll need to address a number of factors that will prove critical to your long-term success. Beyond establishing your brand identity, taking care of product ideation, learning how to plan fashion photoshoots, and determining your value proposition, you’ll also need to decide how you’ll market your products to consumers. 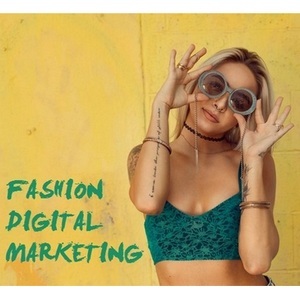 There are a variety of different digital marketing methods that have proven themselves effective in the fashion industry. While many of these methods can also be used to sell other types of products. You will want to focus more heavily on certain marketing pursuits to fully exploit lucrative trends in the e-commerce fashion industry. In this guide, we’ll provide you with top tips for using digital marketing to take your fashion business from startup to industry dominator in no time flat. 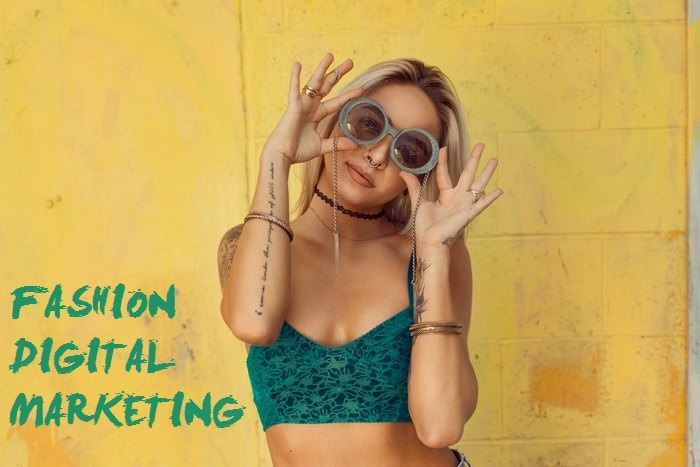 What Is Fashion Digital Marketing? Simply put, fashion digital marketing is digital marketing that is used to sell fashion products. Digital marketing is any marketing that uses a digital medium to promote a product or service. So any time a business uses the internet for promotional purposes, they have engaged in digital marketing. It’s practically impossible for a business to be successful these days without using digital marketing. And the fashion industry is really no exception to this trend. if you don’t have an effective and comprehensive online presence, you’ll lose out on a lot of local business, and digital marketing is even more important to companies that make most of their money by selling products online. More and more, a fashion company’s success is determined by how effectively it grasps the concept of digital marketing and implements these principles into its business model. To make sure that you aren’t left behind, it’s critical to learn more about the components of effective digital marketing and how to incorporate them into your business model. What Are Some Critical Components of Fashion Digital Marketing? Whenever you use the internet to promote your brand, you’re engaging in digital marketing. It’s likely that you’ll want to incorporate aspects of each tried-and-true method to reach the widest base and enjoy the best customer retention. In traditional marketing, brand exposure is king, and this principle remains valid in the world of fashion digital marketing. While the days of taking out newspaper ads and pasting posters around town are all but over, many businesses still believe that paying for advertising is an effective way to promote their brands. (PPC) advertising is the most popular method of paid advertising in the digital marketing world, and there are a number of ways to exploit the potential of this advertising method. Businesses that are new to PPC advertising will immediately note that there are plenty of companies out there that will happily take their money to post ads. By far, the biggest PPC advertising giant is Google, and many companies are willing to pay a pretty penny to have their pages show up first in this search engine’s results. However, many digital marketers question whether or not PPC advertising is truly all it’s cracked up to be. Even though Google is the dominant deliverer of PPC ads, eye-tracking studies suggest that these ads are completely ignored by 80 per cent of users. Consumers don’t trust search results that have been paid for; even if they don’t know the first thing about organic SEO, they know that if a company has to pay to get noticed, it isn’t actually a leader in its field. It’s undeniable, however, that PPC advertising will get you noticed, and some companies elect to invest some degree of their marketing budget into this pursuit. Any seasoned marketer worth his or her salt, however, will immediately caution you away from hedging to heavily on this type of marketing; the research suggests that paid advertising can even have a negative effect on your brand reputation, and other forms of digital marketing are guaranteed to provide better results for your fashion business. While paying for advertising and being active on social media are two surefire ways of increasing your brand exposure, there’s no fashion digital marketing method more effective than thorough organic search engine optimization (SEO). According to veteran SEO guru Nathan Safran, organic search is responsible for 64 per cent of your total web traffic, so learning how to capture this immense growth potential is all-important to the success of your business. There are quite a few ways to improve your SEO, and each of these methods is intended to place your website higher in Google’s search results when a customer seeks out a business like yours. Forbes reports that sites on the first page of Google results capture between 71 and 92 per cent of search traffic clicks, which means that using the following methods to rank high in targeted keyword searches is the only way to get noticed in today’s competitive SEO environment. Before you get started making content and filling out your pages with meta information, it’s important to understand the best keywords to use to improve your brand’s search engine exposure. Picking the right keywords is critical to the overall success of your SEO efforts, but your keywords need to be targeted and specific if you want them to deliver results. Many businesses incorrectly focus on short-tail keywords, which are brief, two or three-word phrases that succinctly express a search term. For instance, “organic apparel” is a short-tail keyword, and while it would be great to rank highly whenever someone searches for this term. But the competition is too steep to make pursuing most short-tail keywords worthwhile. Instead, it’s best to use targeted long-tail keywords that specifically hone in on the customers who will be purchasing your products. For instance, “organic apparel in Austin” will get the attention of customers in central Texas, and “organic apparel for kids free shipping” specifically targets parents who want safe and sustainably-produced clothing without paying for shipping. While it’s hard to create good content without using short-tail keywords, working long-tail keywords into your blog posts and meta tags is an integral part of ranking highly within your particular vertical. Set aside some time for a brainstorming session in which you and your team come up with keywords that accurately reflect your brand identity. Google used to reward the sites that forced the highest numbers of keywords into their page content. But the search engine giant quickly realized that this tactic didn’t deliver the results that consumers wanted to see. Instead, it delivered a bunch of jumbled text that was practically devoid of any useful content. Therefore, Google changed its algorithms to reward the sites that delivered the best-written and most useful content. Marketers now compete to transform blog pages from blatant selling powerhouses to true works of art. To make sure that you don’t get the wrong idea, it’s important to stipulate that many traditional SEO tactics are still in play. For instance, keywords are still important, but they must be used judiciously. If you stuff your site with too many repetitive keywords, Google will penalize you with lower rankings. Also, you’ll still need to provide plenty of meta information if you want your page to rank highly. We’ll cover more on that topic later. Take some time to formulate ideas on the type of content that you want to showcase on your site. Effective content doesn’t necessarily have to be completely in line with your value proposition and brand identity. While it’s important to deliver content on topics that are loosely related to your brand, you can draw more customer interest if you populate your blog with many different types of content. Once you have around 10-20 blog article ideas, it will be time to put your plans into action. While you may think that you have writing skills, grammar, punctuation, and phrasing are incredibly important aspects of making great content, and you might want to rely on a professional content wizard to get the job done. There are a number of content brokers online that can get you in touch with professional writers, and you can also perform your own outreach to work with a writer directly. Great content doesn’t generate customers right away. It will take some time for Google to crawl your site and update your search result rankings, and a single blog article won’t automatically transform your business into a content authority. After a few months of producing high-quality articles with the perfect number of keywords, however, you’ll start to notice huge improvements to your SEO. According to Backlinko, sites that show up on the first page of Google have an average of 1,890 meta words. There are many different types of meta-text that you’ll need to master if you want to have good SEO. For instance, you’ll want to pick a few phrases out of the text on your page to use as meta keywords, and you may want to add keywords that aren’t present on your page. You also won’t want to forget about your title tag. This text will appear at the top of your page. It’s also the text that will show up alongside your URL in Google or Bing search results. Title tags should be concise, but they shouldn’t be so short that they detract from the message that you’re trying to deliver. Your meta description will include the largest portion of meta text. It also serves as a brief description of your page. You may also want to add a meta robots attribute, which informs search engine crawlers about how they should handle your page. According to Sewport CEO Boris Hodakel, web design is an all-important aspect of fashion digital marketing success. Fashion businesses are constantly attempting to outdo each other with their beautiful websites. You will need to invest heavily into your site’s appearance and responsiveness if you want to remain competitive. One critical aspect of web design is taking professional pictures of your products. When shopping online, consumers rely on product pictures to decide whether or not they should buy a product, and this trend is even more apparent when it comes to the fashion industry. Choose your models carefully, and use high-end photography equipment to take pictures that look like they belong in a fashion magazine. You may even want to hire a professional photographer to make sure that your pictures are eye-catching. Aside from filling out your blog and writing SEO-rich product descriptions. You may also want to upload helpful freebies to your website. Make your brand more valuable to customers. Style guides are always popular among fashion-conscious consumers, and you may even want to author a shareable PDF e-book. These days, social media is almost as important to the success of an online fashion brand as SEO. And these marketing arenas overlap in some ways. For instance, the more links to social media profiles and posts you have on your site, the more favourably Google will rank your pages. While Facebook is a great way to connect with customers, keep in mind that it’s also the biggest social media advertiser by far. 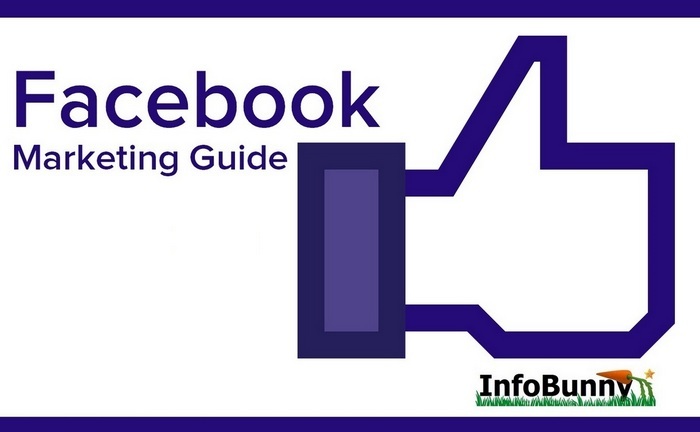 If you’re going to try PPC advertising, Facebook might be a good place to start. On the other hand, fashion brands are even more popular on Instagram than they are on Facebook. It’s easy to sell your apparel directly through this image-based social media platform. You can try running a giveaway on Instagram to organically improve your brand exposure. While influencers can be hit-and-miss, if you pair with the right social media guru, your styles can become viral practically overnight. No matter what you do, make sure to engage with customers through social media on a daily basis. Facebook is a big deal. Almost anyone who knows anyone has a Facebook, and we all know that Facebook is going to stick around for a long time. Great fashion digital marketing results don’t fall in your lap overnight. Only patience and perseverance will move the needle when it comes to your fashion brand’s exposure. Keep up your efforts even if your marketing results don’t bear fruit immediately. In particular, it’s important to avoid falling for the siren song of paid marketing just because your SEO efforts aren’t panning out yet. Even the best organic SEO efforts can take weeks or even months to start delivering results. You can easily use up your entire marketing budget if you get nervous and jump the gun when it comes to PPC ads. Even when your SEO and social media efforts start seeing success, it can take a long time to build committed customer relationships. Instagram you have heard of it right? If you have a fashion business then it is an absolute must to have a presence on this visually friendly platform. The downside of Instagram is that you do not have clickable links on posts. Success requires you to get your visitors to your BIO link on your program. But here at Infobunny, we have a fix that will give you the next best thing to clickable links on Instagram. If you like the idea of adding clickable links to your Instagram posts then have a read of this article. The premise of the idea is to create product pages to boost your fashion digital marketing strategy. So do you use digital marketing to promote your business? Are you involved with fashion digital marketing? Do you have some fashion digital marketing tips of your own? Make sure that you subscribe to the comments so that you are notig=fied when I reply. In this new article, we will be sharing some fashion digital marketing tips that will bring your fashion/product based business into the light. Hello, NIce articles I am so glad about your post. This is absolutely amazing and informative, where we get some important tips to increase digital marketing level in the site of the web page. I read your article, it is very informative and well written. Thanks a lot for this kind of amazing post. Keep writing in future also. Good job. very informative article for the Fashion digital marketing, I appreciate your blog, Thanks for sharing your article. Found to be recent article in recent times. Thank You for sharing. Thanks for sharing with us these great digital marketing strategies! Will definitely save this for my reference soon. Content marketing are very important if you want to succeed online. I would be a great digital marketing strategy using fashion and would help SEO ranking to obtain more organic traffic and to increase branding. Thank you for sharing the valuable information. Digital Marketing has really evolved into a big thing in the modern day. It is the go-to when it comes to marketing business and website.